Bechtler Museum of Modern Art Pays Homage to its Building’s Designer with an Exhibition Featuring Artifacts that Exemplify Botta’s Architectural Style. 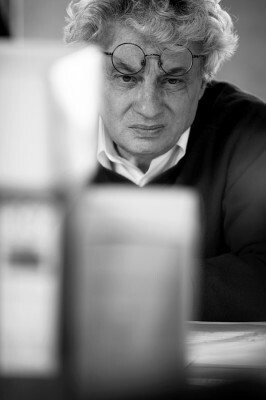 April 14, 2014 (Charlotte, N.C.) – Considered one of the century’s most fundamental contributors to postmodern classicism, Swiss architect Mario Botta is respected particularly for his sensitivity to regional vernacular and to the building’s relationship with the land. 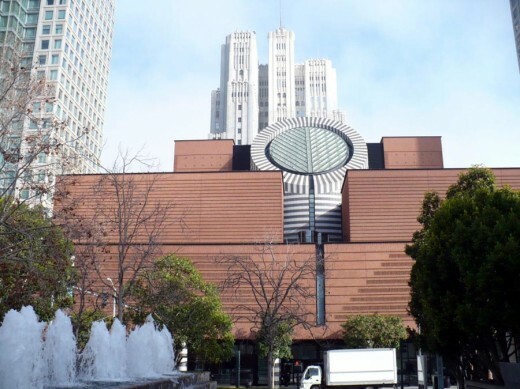 He is the designer of the Bechtler Museum of Modern Art and the San Francisco Museum of Modern Art – the only commissions he has accepted in the United States. 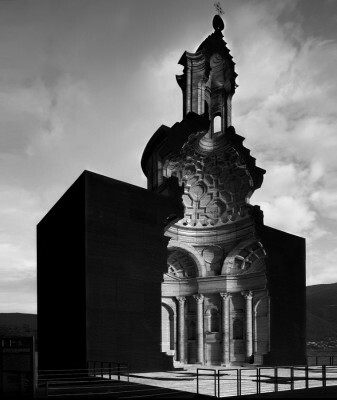 Mario Botta’s body of work ranges from private residences in the Swiss Alps to urban projects in Europe and Asia. 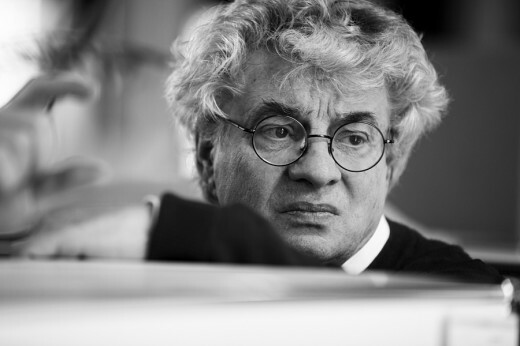 The Bechtler Museum of Modern Art presents the exhibition Mario Botta: Architecture and Memory January 31 through July 25, 2014. 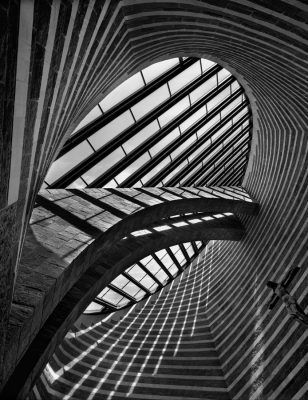 Botta is among the most noted architects on an international scale. His reputation and status have long been established throughout the rest of the world by the great number and wide variety of commissions the 70-year-old architect has received in the last 50 years throughout Europe and most recently Asia. He is considered one of the world’s foremost architects of churches and museums. 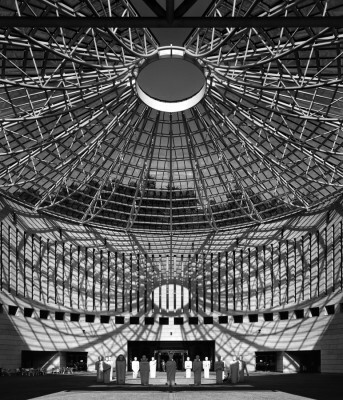 The Bechtler Museum of Modern Art is the only U.S. venue for this engaging exhibition that highlights the designs for some of Botta’s significant museums, libraries, theaters and religious spaces. 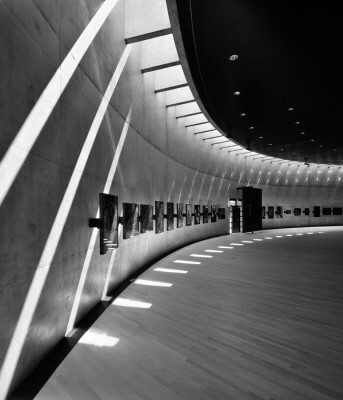 Over the last decades, Botta has focused on creating major public buildings worldwide. The exhibition features sketches, original wood models and photographs for 30 of these projects. More than 200 objects will be on view throughout the museum’s entire fourth-floor gallery including wooden stools designed by Botta, which provide seating for the exhibition’s digital slide shows. Also featured in the exhibition are letters and sketches by architects and others who have influenced Botta. Included in this Encounters section are artworks from the Bechtler collection created by artists who have inspired Botta such as Alberto Giacometti, Jean Tinguely, Alexander Calder and Pablo Picasso. The show’s title, Architecture and Memory, addresses what Botta says are inseparable elements in that the transformations wrought by architecture become part of the human landscape. Botta’s buildings interpret modern culture while evoking the memory of the land. 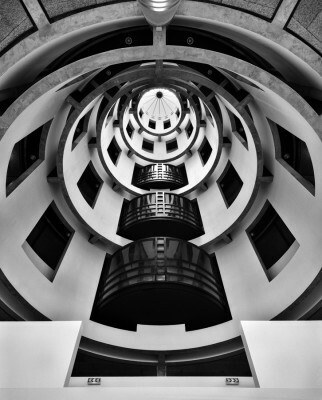 Botta’s buildings respect topographical conditions, regional factors and building materials. His designs bear the stamp of respect for craftsmanship and are often ruled by an underlying geometric principle. Though he occasionally uses steel and glass in visible quantities, Botta is truly an architect of stone, brick and concrete. He uses geometric shapes to juxtapose lightness and weight. The exhbition will be supplemented by a roster of public and educational programs as well as a catalogue. Mario Botta: Architecture and Memory is organized by Mario Botta and is based on the exhibition Mario Botta Architecture 1960-2010, which was on view September 11, 2010 through January 23, 2011 at the Museum of Modern and Contemporary Art in Trento and Rovereto, Italy. The exhibition is made possible with a generous grant from presenting sponsor Wells Fargo Private Bank. Significant funding for the exhibition is provided by Belk, Inc, Childress Klein Properties, Electrolux North America, The Hartford and the Swiss Arts Council Pro Helvetia. Additional funding comes from Rodgers and Balfour Beatty Construction. A design consortium led by Wagner Murray Architects, which includes American Institute of Architects (AIA) Charlotte, Gantt Huberman (a division of Bergmann Associates) and Housing Studio, also provided financial support. The exhibition’s media sponsor is WFAE 90.7fm, Charlotte’s NPR News Source. The Bechtler Museum of Modern Art is dedicated to the exhibition of mid-20th-century modern art. It is named after the family of Andreas Bechtler who assembled and inherited a collection created by seminal figures in modernism. 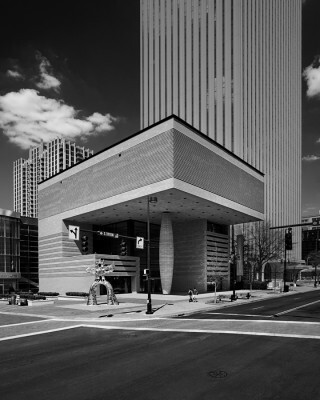 The museum is located at Levine Center for the Arts, 420 South Tryon Street, Charlotte. Operating hours are Monday, Wednesday, Thursday, Friday and Saturday 10 a.m. – 5 p.m.; Sunday 12 p.m. – 5 p.m.; closed Tuesdays. For museum details visit www.bechtler.org. April 22, 2014 in Architects.